Plus One Landscapes has been serving the Sacramento area for over 20 we believe in providing quality services and affordable prices.For all your landscaping needs give us a call today.. Lawn Care provide professional Lawn Maintenance and Landscaping in Sacramento CA and deliver an express, responsible and well-disposed service. 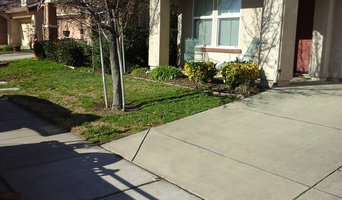 We take pride in the service that we propose to our clients.Just call us on (916) 606-7024 If you need the right Lawn Maintenance Sacramento CA our team will be more than glad to do it and present a free quote based on the size of your lawn, possible obstacles to edge or trim and how overgrown it may be for its first mow. When planning your next landscaping project, call on the expertise of Robert Dye and Associates. Whether you are starting from scratch on a new home, thinking of updating an existing yard with a new driveway or patio, or maybe considering a whole new look in place of your old one, we can help! Started in 1977, we provide our clients with a variety of services including consulting and design, concrete, masonry, decking, fencing, arbors, shade structures, retainer walls, irrigation, drainage, lighting, water features, plants, and ground cover. Our goal is to always deliver an on-time and on-budget project with your satisfaction in mind. With more than 30 years of experience, we can help you create an outdoor environment you and your family will enjoy for years to come. Bay Lawns provides complete outdoor property maintenance services. Servicing both residential and commercial properties in the Bay Area. Landscaping has been a passion my whole life. I just simply love the way we're able to rebuild something as simple as planting a tree in the backyard and creating something worth seeing every morning. I have been doing landscaping for over 20 years now, i have built seen almost anything that can be build from stone walkways to beautiful Japanese gardens. MATIAS TREE CARE & LANDSCAPE CONTRACTOR. Has been providing service in the greater Sacramento area of California since 1997. We are a family owned operated. TREE & LANDSCAPE. Company based business that takes pride in providing service to our new and existing customers with "A Commitment to Excellence" throughout the Greater Sacramento region. From a simple bush to a Huge And Dangerous Tree Removal . And Landscape Construction / Renovation. We strive to provide our customers with professional service for all of your TREE CARE AND LANDSCAPE needs. Over the years, we have added a major component to our portfolio that separates our company from our competitors and helps to assure our customers of our professionalism. We did this by becoming California's 6th Accredited TREE CARE COMPANY. issued by the TREE CARE Industry Association(TCIA) This program signifies that we working to the highest standards of our industry. Such as providing Best Business Practices, Consumer Satisfaction, Insurance Coverage, and safety Standards. We strive to be what a professional TREE CARE SERVICE should be for the benefits of our Customers, Employees, and Environment. At MATIAS TREE CARE & LANDSCAPE CONTRACTOR. You will receive professional support for all phases of your project: From Tree Care and Landscape Construction / Renovation. We will gladly take care of your concerns. Our work always meets the highest quality requirement, and also includes fresh ideas. Your Trees Landscape or gardening project. Is always in good hands with MATIAS TREE CARE & LANDSCAPE CONTRACTOR . And remember you can count on our experts with many years of experience to get the job done right! Services Provided Landscaping, Design Services, Stamped Concrete, Retaining Walls, Outdoor Kitchens, Outdoor Fireplaces, Outdoor Fire pits, Arbors, Ponds and Water Features. A Landscape Company Tailored to Your Needs Our clients range from weekly yard maintenance to seasonal clean ups, and even one time 'curb appeal' makeovers. Our job is to make the time you spend in your yard more enjoyable. We strive to be flexible in scheduling, comprehensive in our services and reliable every step of the way. You can count on Medrano's Lansdcape. 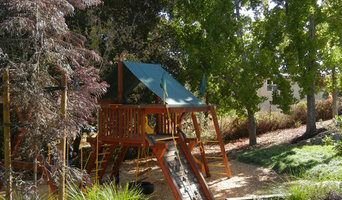 Orchards Landscaping is a full service landscape construction company serving the East Bay of Northern California. Landscaping, hardscaping & Tree Services. We are a professional company that is offering Landscape, hardscape and Tree Care Services. Services: pavers, stump concrete, sod, sprinkler systems, flagstone, retaining walls, pergolas, mulching, planting, tree removals, tree trimming, stump grinding, gravel installation, junk removal, clean ups, monthly services and more. 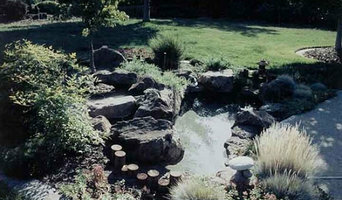 Sun Valley Landscaping offers landscaping services in the Palo Alto area. Contact us for your next project! Homes are meant to be lived in. The garden should be an extension of your home and your style, from planning space to play, to creating privacy and serenity where you need it. 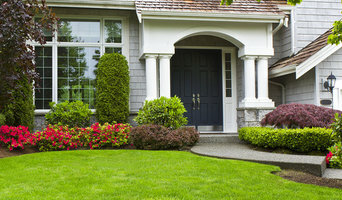 My favorite projects usually also involve looking at the curb appeal of the entire property. Your home will welcome you at the end of each day, and will help you greet and entertain family and friends. Just as you put your best face forward every day, so should your home!